Working hard all day. Looking forward to coming home, cook and eat my omelette, go to dance class. And then fix my nails with some baby pink gellack. 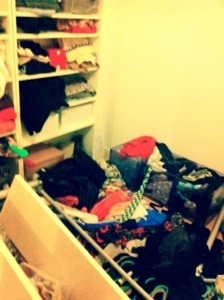 Instead I spent 3 hrs rescuing what was left of my walk in closet. No pets nor clothes were harmed. Thank you R for helping out fixing the IKEA system that always leaves me clueless. 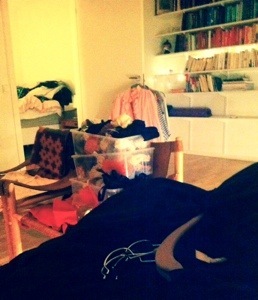 Now, time to reunite items of clothing with shelves and hangers and that is the end of this dramatic Monday. Everyday drama from me to you.